The auto industry is harnessing new technologies, giving drivers experiences they’ve only dreamed about. The same is true of out-of-home (OOH) advertising—one of auto marketing’s closest allies. Just as manufacturers are reinventing vehicles today for the ultimate driving experience, OOH is reimagining how marketers can more effectively engage with consumer groups along the path to purchase. Most importantly for dealers, OOH companies are fueling their tech revolution via mobile location data to create smarter and more effective outdoor ad campaigns to drive auto sales. This means leveraging insights from the digital world to understand where consumers go, what they do, and which paths they travel to then knowledgeably select the appropriate billboards for them to see. In fact, just 18 months ago, Clear Channel Outdoor Americas (CCOA) piloted a groundbreaking campaign with a major U.S. automotive manufacturer that used new OOH planning and attribution technologies called CCO RADAR. Working with several domestic auto dealers in six different designated market areas (DMAs), CCO sought to increase consumer visits to the auto dealerships. Participating dealers saw a 15.4% lift in visits to dealerships among consumers exposed to the OOH campaign versus an unexposed control group in the same DMA. Since then, these technologies have only advanced in sophistication, efficacy, and accuracy. They now integrate the latest audience behavioral patterns from aggregated and anonymized mobile data from one in four mobile devices into their advertising planning and measurement solutions. This helps auto dealers determine the best outdoor locations to reach likely auto buyers with OOH ads, and then, measures actual visits to auto dealerships—a very strong signal of intent to buy. Further, these same exposed audience groups can be retargeted with mobile ads to reinforce the brand message. As a result, CCOA is now sharing results from two new campaigns—one by the Northern California Honda Dealers and another from a leading automotive manufacturer. Both prove the encouraging data points from the 2016 pilot were no fluke. In each case, the campaigns drove huge lifts to dealerships from the target consumer. 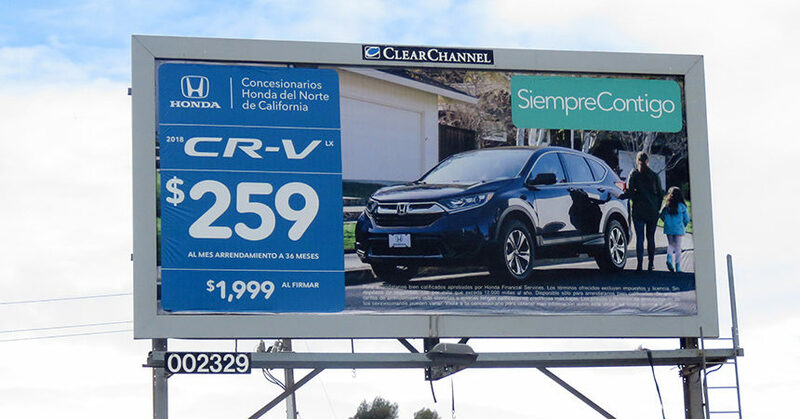 Northern California Honda Dealers recently turned to CCOA’s outdoor solutions to drive visits and increase sales among Hispanics in San Francisco. CCOA identified the client’s objectives and created a six-month campaign using mostly printed vinyl posters (smaller billboards). CCOA strategically selected this inventory based on the frequent travel patterns of their desired audience identified in CCO RADAR. Then, using CCO RADAR’s mobile retargeting capabilities, mobile ads were sent to consumers with Spanish language–enabled phones who had been exposed to the OOH campaign or visited a Honda dealership. Participating dealers saw an 83% lift in visits to dealerships among consumers exposed to the OOH campaign versus a control group in the same DMA, which was unexposed. Consumers exposed 15 or more times had a visitation rate 125% higher than average. 26% of exposed consumers visited a dealership 15 or more miles from where they live. Vehicle manufacturers are also turning to these same solutions to build consumer awareness around specific campaigns. This past holiday season, a major automotive manufacturer used this same suite of solutions to raise consumer awareness and drive dealership visits throughout the Los Angeles DMA. The campaign ran seven weeks and used proximity targeting to select printed and digital billboards within a five-mile radius of the dealership. 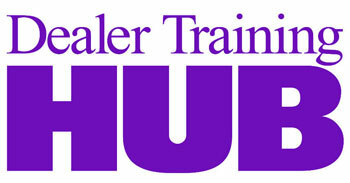 The plan was optimized to provide roughly equal coverage to all 51 participating dealerships. Participating dealers saw a 175% lift in visits to dealerships among consumers exposed to the OOH campaign versus a control group in the same DMA, which was unexposed. Consumers exposed 13 or more times had a visitation rate twice as high as average. These major automotive brand campaigns demonstrate definitively the powerful combination of automotive advertising and OOH. Whether auto dealers want to reach a particular demographic in a DMA like Honda, or to drive sales around a particular promotion as done in the Los Angeles campaign, these results show exactly how effective an OOH campaign can be in engaging with an audience of likely car buyers. Sarah Garonce is the senior director of research and insights at Clear Channel Outdoor, where she leads the company’s attribution product. In this role, she designs and runs research studies to evaluate the impact of OOH campaigns, which helps clients understand campaign performance and results to better optimize their overall media plan.